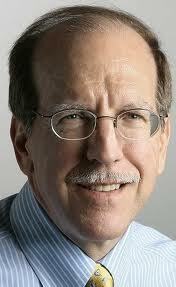 Dumping the three-terminal, KCI layout got a big boost today from Kansas City Star business editor Keith Chrostowski. In a Star Business Weekly commentary, Chrostowski laid out, logically and unemotionally, why we need to build a modern airport terminal. That was an excellent way to get the readers’ attention, affirming the warm feelings that many people have for KCI, before weighing in with a set of facts that makes it clear that KCI needs a complete overhaul and new design. — As it is, KCI has lost any hope of becoming a hub and essentially is a “fly-over” airport. — Once through security, passengers are “trapped” in the barren gate areas. — Connecting passengers often have to go through security at KCI, even though they already cleared security at their origination point. — The interior design is antiquated, and the curve of the terminals tends to give travelers the impression that they are in a small airport. — The loss of flights over the years, coupled with KCI’s “underwhelming impression” has dragged the city’s economy down. Just as I did yesterday in yesterday’s post, Chrostowski reinforced the point that the money to retire construction bonds would not come from the city’s General Fund but from “a designated revenue stream of fees on airlines and fliers.” Yes, $1.2 billion is a lot of money, but investing it in a new, modern terminal would be far from wasting money, as many people have suggested. It would put us back on the aviation map and would provide the local economy with a tremendous boost. Finally, Chrostowski noted that most of the money spent on a new airport “would go into the pockets of local contractors and thousands of area construction workers.” Can’t beat that, can you? As the political consultants will tell us when it comes time to approve a bond issue in order to proceed, it would be a major investment in Kansas City’s future. Bravo, Chrostowski! You did a great job of methodically ticking off the reasons why we need to “toss over” this decades-old romance with KCI. Let’s dump this damn airport as soon as reasonably possible and get on with building an airport that our children can be proud of and that will serve Kansas City’s needs for decades to come! That’s it…the headline, I mean. That’s the slogan — christened here today on your favorite blog — for the bond-issue campaign (God willing) that will determine if Kansas City builds a new single terminal at KCI or sticks with the one we’ve had for more than 40 years. OK, so the campaign isn’t going to be the slam dunk I first thought it was going to be. 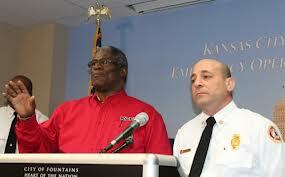 A Save KCI group has formed, and it has a web site. Letters to the editor tilt toward maintaining the status quo, and Mayor Sly James now seems to be hedging his bets. A front-page story in The Star yesterday said that James supports “moving forward with a study on the merits of a new terminal.” That’s a long way from being unequivocal. That’s what he should say, anyway, if he wants to be remembered like former Mayor Kay Barnes, who gave us Power & Light and the Sprint Center. 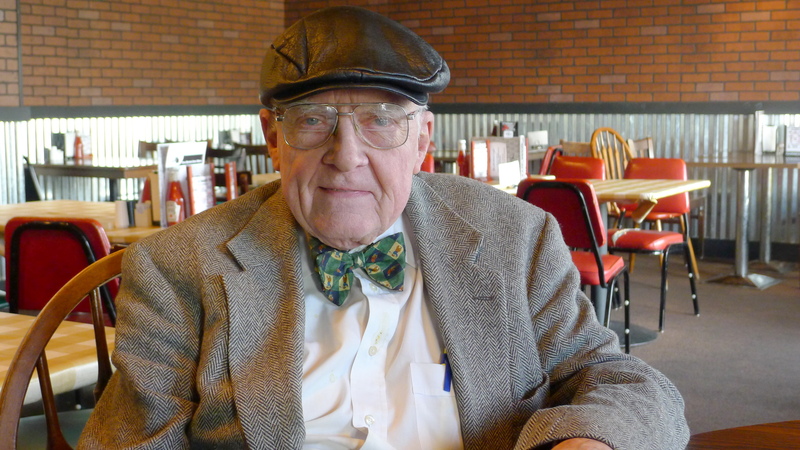 Or like the late former Mayor Ilus W. Davis, who moved air travel out of Downtown Airport and gave us a major-league airport in Platte County. For the campaign to succeed, it’s going to need James’ strong backing. He has built up tremendous credibility with the public. I think that’s great; that’s what enables a mayor to lead. But if James equivocates on this, or if he throws in the towel, Kansas City is hosed. Another opportunity to modernize KCI probably wouldn’t come along for another decade…at least. Earlier, when I put in the mayor’s mouth the words “make travelers open their eyes,” I meant it almost literally. Look around the next time you go to KCI…Most people are trudging around soporifically, in the dungeon that is Terminal B, looking for someplace decent to get something to eat, other than a day-old croissant or a three-day-old sandwich. Then, watch those who are “shopping” for items for friends and relatives back home. They flip through the KU, K-State and MU caps and shirts at the news stands, and they quickly move on. Folks, this place is not far from being a dump! The only difference between KCI and Kemper Arena is that Kemper Arena was always a dump. It held us back on the sports front for many years. Now, with Sprint Center, we’ve got one of the most successful arenas in the country, and when we have a big concert or basketball tournament down there, the streets, bars and restaurants are filled with happy people. A beautiful sight it is, if you love Kansas City and want it to rank up there with St. Louis, Denver, Indianapolis and Louisville. The important thing to realize is that the “convenience” factor, which opponents of a new, single terminal continuously harp on, is an extremely narrow view. Yes, you can get to your airline fairly easily at KCI, but once you go through one of the security checkpoints, you are a prisoner in a smaller holding area where about all you can get are yogurt cups, crackers and bottled drinks. I was in one of the holding areas recently, and to get to the restrooms I had to walk from one end of the enclosed area to the other and then down at least one long flight of steps. Convenient? Hell, no! A lot of people, like me, don’t have the knees they once did…You should never have to go down a flight of steps to go to a restroom at an airport. Here’s the best thing about a bond election that would have to be held before the city could proceed: If voters approve (by a simple majority), the bonds would be retired solely with revenue generated by the Kansas City Aviation Department. Not so. 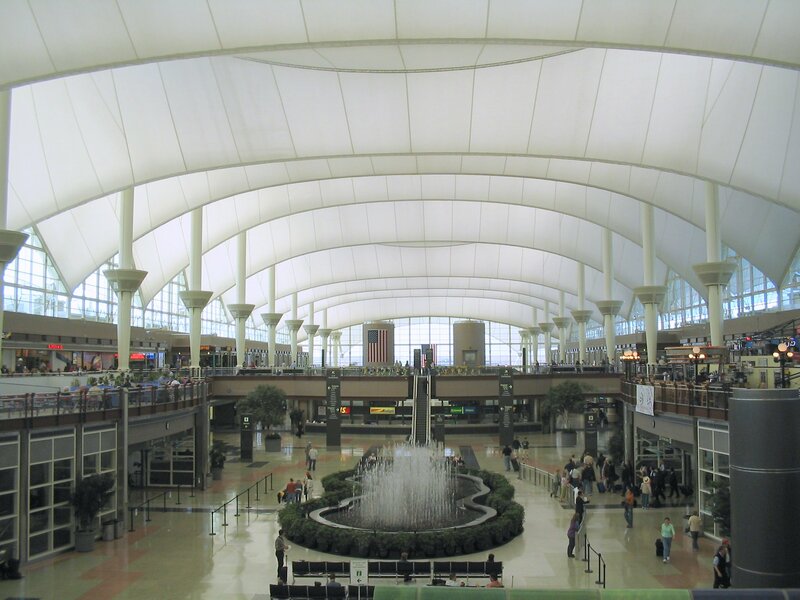 Airport-construction bonds would not rely at all on the city’s General Fund, that is, on taxpayer dollars. The Aviation Department is one of two city departments, along with the Water and Pollution Control, that do not tap the General Fund. They are called “enterprise departments'” because they pay for their operations, totally, with fees they charge. In the case of the Water and Pollution Control Department, it’s the water and sewer bills we get in the mail every month. In the case of the Aviation Department, it’s fees charged to airlines and other businesses that rent space at the airport. The department’s largest source of income is airline “landing fees” — usually so much money for each 1,000 pounds. No tax dollars…No, it’s not free, but the airlines and other users are paying, and they’re willing to pay because they know it will pay off for them in the long run. Once again, I’m going to quote U.S. Rep. and former Mayor Emanuel Cleaver, who, I’m convinced, got Kansas City focused on the future when he was mayor, after a long period of belly-button gazing. People, it’s time to cut bait on the existing KCI, with its sodden, antiquated terminals. If you were starting afresh, today, what career path would you choose? A good friend, Kaler Bole, a businessman who also happens to be a hell of a news hound, called to my attention yesterday a Web site that rates the “best” and “worst” jobs from one year to the next. Knowing what you do about me and this blog, can you predict what’s coming? With a median, annual salary of $36,000 and a projected 6 percent loss of jobs across the country in 2013, newspaper reporting is far from the promising, adventurous job that it used to be — except for those who have reached the top of the ladder, such as reporters at The New York Times and the Wall Street Journal. Naturally, the CareerCast report is disappointing to me, particularly since I never envisioned myself doing anything other than being a reporter for about the first 10 years of my working life. Thereafter, I would get a wild hair every once in a while and think about going into P.R., but nothing ever materialized. Besides, once my salary started getting pretty good, I was less interested in changing course. Today, it’s a lot different. From the outside, newspaper reporting appears to be less interesting, less appreciated and more stressful than it used to be. And the prospects of working up to a high five-figure or low six-figure salary are low, indeed, for the average newspaper reporter. 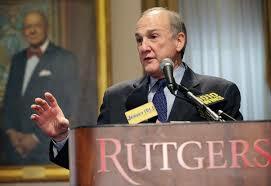 When I got out in 2006, salary suppression was well underway. As disappointing as the CareerCast report is in regard to newspaper reporting, however, the other side of the ledger — the best job of 2013 — still looks no better, at least to me. You’d never guess what’s No. 1…Actuary. Yeah, the people who analyze insurance risks and premiums. The median annual salary there, CareerCost.com says, is $87,650. Moreover, CareerCrest forecasts a 27-percent increase in the number of actuary jobs this year. Follow me on a short side trip now…The worst job I ever had was working at the downtown Sears store in Louisville, KY, for about a week one summer during college. Along with two or three other young people, I sat on the edge of a huge wheel (I’m talking several feet in diameter) of index cards, bearing the handwritten names and addresses of customers who owned Sears appliances. I don’t recall exactly what we did with those cards, but I think it was basically putting them in alphabetical order. I only made it a week, even though one of my co-workers was a really good-looking girl, who I was interested in getting to know better. Lust was no match for excruciating boredom, and away I flew. I have no idea what I was getting paid, but I wouldn’t have stayed if it had been $500 a week — a veritable fortune back then. Same thing goes for being an actuary now: I couldn’t and wouldn’t do it for a salary twice as large as what I made at The Star. These things always fascinate me for some reason, maybe because I like to think, “What if…?” What if I had gone into something else? How might that have gone? For what it’s worth, then, here are the rest of “the best” jobs of 2013. Armed with all the above information, if I were graduating from college next month, I think I’d still choose writing as a career. Probably not newspaper reporting, but some sort of writing. As you can tell, it agrees with me. What about you…What would you do? Ever since the newspaper industry and TV began chasing the Internet Express, trying to catch up with the fast-changing way in which news was being gathered and reported, the news media’s credibility has sunk ever lower. I don’t really know how it could have been avoided because if the old-line media organizations had not jumped on board — however awkwardly — they would have been left farther behind than they are. Still, this loss of credibility is just appalling to me and many other past and present members of the media. What I’m talking about is the old media lowering the accuracy and editing bar that it had painstakingly established over generations. The first big belly dive into the mud occurred the night of the 2000 presidential election, when the major networks, including CNN and Fox, called Florida for Al Gore prematurely and later stamped George Bush as the winner of the presidential election — 19 days before the Florida vote count was certified and Bush declared the winner by 500 some votes. As I recall, we at The Star were one of many news organizations that had Bush winning on our Web site. I believe that in the morning paper, we went with too close to call. All in all, the media’s performance that night made the classic, 1948 Chicago Tribune headline, “Dewey Defeats Truman,” start to seem not so embarrassing in retrospect. There have been many other erroneous, main-line-media Web site reports since the 2000 presidential election, but this week brought another new low: The Associated Press, The Boston Globe, CNN and Fox News all reported early Wednesday afternoon that an arrest had been made in the Boston bombings case, when, in fact, no arrest had been made. It was the same two networks that breathlessly reported — again erroneously — last June that the Supreme Court had overturned President Obama’s health-care-overhaul law. I guess officials at some of these networks have come to the conclusion that if you don’t know for sure, run it anyway because it will seem to advance the story. The last thing the network executives want, it seems, is anchors and reporters saying, “We’re waiting for new information.” The new credo at some networks and newspapers is There Can Be No Wait; It Must Be Now! 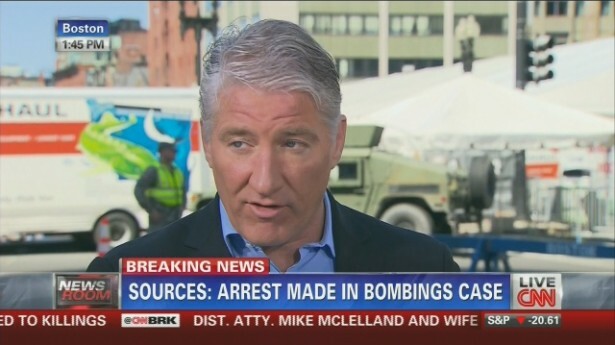 CNN’s John King was the first to set his network’s pants on fire when, at 12:45 p.m. Kansas City time, he reported that police had a bombing suspect in custody. Their “findings” were nothing more than “phantom findings,” and CNN should have apologized. As the reactions of CNN and the AP indicate, the worst part of this “it-could-be-right-or-it-could-be-wrong” approach to Internet-era reporting is that there’s no need to apologize, no need to be embarrassed, just keep rolling out whatever some ding-dong whispers to the stressed-out, over-caffeinated reporters in the field. Quite often, people ask me if I miss working as a journalist. I always say that I don’t miss it at all and that I am happy to be out. I respect the vast majority of journalists, especially my former Star colleagues, but I’ve got to say that when we started chasing the Internet back in the late 1990s, our “quality control” system — based on verified reporting, careful copy editing and several sets of eyes on every story in line for publication — quickly went to hell. I could not come to grips with throwing under-reported, poorly edited stories up on the Web just to try to keep up with the local TV stations. As a result of the free-wheeling reporting that has supplanted careful, verified reporting, the reputation of American journalism has, sorrowfully, slipped into a huge sinkhole, and I don’t know how it’s going to get out. It looks like it could go the route of that guy in Florida who was swallowed up by the earth and never resurfaced. The Times, with pockets deep enough to hire experts in every dimension of news gathering and presentation, has done the best job of melding newsprint journalism and electronic journalism. It also has resisted the urge, for the most part, to go with unverified reports in the race to be first on big stories. But, alas, even The Times got sucked in on the Bush “victory” on election night 2000.